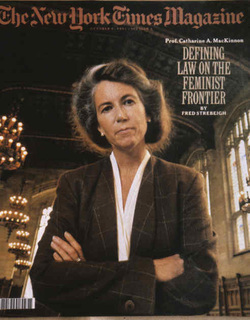 Fred Strebeigh, "Defining Law on the Feminist Frontier," New York Times Magazine, October 6, 1991. This article for the New York Times Magazine began my reporting for Equal: Women Reshape American Law. I tell part of the story of its origin in the acknowledgments section of the book (excerpted in the acknowledgments section of these web pages). 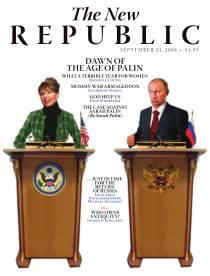 This article for the New Republic, drawn from Part 5 of Equal, narrates the collaboration of Joe Biden with women activists and women judges to shape the Violence Against Women Act of 1994 and then to contend against fierce and mostly male resistance in Washington, particularly from the Supreme Court. 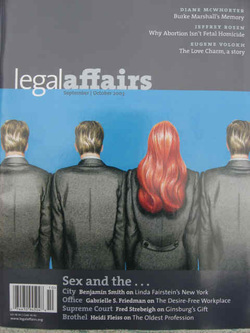 Fred Strebeigh, "Standard Bearer: Long before she joined the Supreme Court, Ruth Bader Ginsburg challenged its members to treat gender like race," Legal Affairs, September-October, 2003. This article about the work of Ruth Bader Ginsburg was adapted by Legal Affairs from early chapters of Equal: Women Reshape American Law. Much of the information for both this article and Part 1 of Equal came thanks to the generosity of Justice Ginsburg, who allowed me to work in her files of early letters and litigation. I tell that story partly in the acknowledgments section of the book (excerpted in the acknowledgments section of these web pages.